Airlines don’t require travelers flying with infants to purchase a separate ticket for their little ones. But, anyone who has ever flown with a baby on his or her lap knows it can be a trying experience for both parent and child. Meet FlyeBaby—a hammock type seat that provides a comfortable, convenient place to rest your baby during the cruise portion of a flight. This one-of-a-kind airplane carrier lets you play, interact, feed, and care for your infant in a face-to-face position while leaving your lap and your hands free. Equipped with a five-point harness system designed to hold a baby up to 25 pounds, FlyeBaby straps securely around your waist and on the tray table. Once you’ve reached your destination, the airplane seat can be converted into a highchair. And, when not in use, this handy travel companion folds right up into a carrying pouch for easy storage. Hi I'm Jason from Flyebaby. Anyone who has flown with a baby [on their lap] knows how challenging it can be for the parent and infant. Most of us have even thought "if only I had a place I could lay my child down, it would be so much easier." Flyebaby was created to give the baby greater comfort and allow parents to go hands-free, making travel a more enjoyable experience for the entire family. I look forward to answering your questions. Thank you! But does attaching it to the seat in front then shake that passenger's seat every time the baby moves? Good question. As you can see in our picture, the baby's head rests well below the very top of the seat that attaches, so any movement from the baby would only move the baby seat itself and not affect the person's seat in front of you. What happens if the person in the seat in front moves their seat into the reclining position or back up? seems the baby would be jarred. @Edith This is Howard Greenspan, the Owner of Flyebaby. Great question, but nothing will happen. The seat is designed so that when the passenger in front reclines their seat, the hammock moves with the seat, so that the baby is completely safe and unaffected. There is also a head line mark on the seat to properly place the infant into the seat for extra safeguards. The answer is very simple, the answer is no : ) The tray is attached to the frame of the seat. When the passenger behind you typically shakes your seat, it is because he is pushing the tray closed INTO the seat in from of them, byt the Flyebaby attaches to the tray and that tray is attached to the frame of your seat and does not move the seat at all. Have you checked with the airlines to make certain this is permissible? Sounds really wonderful. Would hate to purchase and then be told-"OH NO You cannot use that device!" Great question and I'm certain others will want to know the answer as well. Below I have copied and pasted some FAQ's directly from the FlyeBaby site. Please keep in mind that the FAA is a U.S. regulatory body and any permissions may not pertain to international flights. What if a flight attendant or airline personnel has a problem with me using FlyeBaby? Does the FAA have an issue with the use of FlyeBaby on a flight? The FAA does not prohibit the use of FlyeBaby during the cruise portion of the flight. The applicable FAA regulation is listed below. The FAA was consulted during the design process of FlyeBaby and they found no reason that the seat could not be used during the cruise portion of the flight. a. The regulations contained in Section 121.311 prohibit the use of certain types of CRSs* during ground movement, takeoff, and landing. However, during the cruise portion of the flight there is no regulatory prohibition regarding the use of any type of child restraint, including those prohibited from use during ground movement, takeoff, and landing. A baby is far safer in the 5 point harness that Flyebaby offers as a safety feature than he/she is simply bouncing on moms knee should you encounter turbulence. Turbulence is unexpected and therefore this is a preferred method for safety. Remember, as stated above, the FAA was consulted in regards to this item and they deem it as safe. As for getting up out of your seat, all I can say is what if you get into an aisle seat and the passenger next to you falls asleep, do you feel guilty about waking him up? As for flying next to a baby, the use of flyebaby keep a child relaxed and calm because they are facing their mother and the mother has two hands free to keep the baby entertained. I hope that this clears up some of your concerns. Interesting idea for the traveling family, but not so great when you consider the person in the seat in front of you....maybe you could be sure one family member sits in front of the baby-carrying parent. 2) if the person in front doesn't recline, they may have a rough flight being jostled every time you or the baby move. @Ann Just curious... if you get an aisle seat with this device and other travelers sit between the aisle and the window (and want to get out to use the restroom during the cruise part of a flight), then you have to "undo" the device and then re-secure it after that person returns to their seat. I think this is a great idea but the other travelers sitting next to you may have issues with this device (thinking about the attendant passing hot coffee over the top of my infant to another passenger in my row) Also, when traveling alone with baby...how hard is it to connect this device when holding your infant? Can this be done with one hand or must you hand-off your infant to the flight attendant? Great idea but not practical! I fly quite a lot and I would not want to be in the seat in front of the baby or next to the baby if it blocked my way from going to the bathroom or for any other reason that I needed to get up into the aisle! Also, that is not fair to say that the flight attendants may not know FAA regulations! They are trained with all the FAA regulations! That is their job and this device will just make it more difficult for them if someone complains. As someone else suggested, if you fly with your baby then you are responsible for holding them. I'm all for making life easier but not if it infringes upon the rights of others! @Lori with all due respect to everyone's concerns about the baby blocking the exit of the person in a window seat, I have 4 children and have flown over 3,000,000 miles in my career and I assure you that most mothers prefer to be in the window seat so that no one will bump into them while traveling with baby. Hi all, Grommet CEO here. I can always tell when we have a particularly interesting Grommet on our hands when we it can inspire a vibrant conversation. Flyebaby is one of "those." Re. the various questions and opinions posed..Let's start with the assumption that the seat attaches securely and works as promised (ie. it keeps baby safe and does not impact the person in the seat in front). When we launch any Grommet we have assured that the features and functions are as-described and well-designed. So this proper functionality is a given, every day of the week for every Grommet, including Flyebaby. Then we move into the more subjective area...how will the baby "do?" And will the Flyebaby compromise other passengers or the crew? Every baby is different but anyone who has travelled with an infant knows that babies love to see their parents, to be entertained, to be kept fed and dry. The Flyebaby takes a pretty awkward environment to do those things and makes it a lot better. So while no one can guarantee a sleeping or happy baby during a flight, most parents would want to try anything that could help. As for the other passengers, if the baby has a better chance of remaining content, they too will have a better flight. IF a parent does not get the desired window seat many would prefer, they would just have to unstrap the Flyebaby seat and hold the baby, per normal. It's reasonable for other passengers to expect that from a fellow passenger flying with an infant. I am sure the crew would be equally comfortable making such a request, and delighted for any help in keeping all the passengers seated near a baby happy. I think lap size is also a factor for this item. And obviously one couldn't put in an 18-month-old lap child. 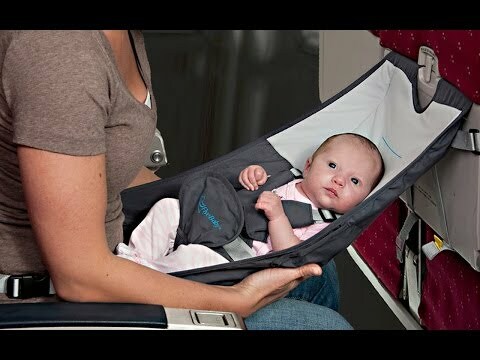 But anyone who thinks a baby sling is what would prevent them from getting to safety during cruise flight has watched too many unreasonable disaster movies, although any parent who would consider hooking this up on the ground for the interminable delay for taxi and block in another passenger should be resoundingly corrected. Dear LL, thank you for your insight and while I am considered biased (VP Of Sales for Flyebaby) your points are all valid and in general, what I hear all of the time from the many happy parents who have purchased this item. Skymall and Hammacher Schlemmer will be running this item in the upcoming months and I thank you for that suggestion, we are just choosing to "Launching" this our strategic partner, The Grommet. @LL Thanks for the unexpected and most welcome expert point of view...as both a pilot and a parent. I really had not imagined the dangers of a sleeping parent holding a baby and (unintentionally) relying on fellow passengers to catch it! Yikes. That reason alone justifies the Flyebaby, or purchasing a second seat so the baby can travel in a regular car seat. Although , now that I think about it, those seat are possibly problematic to other passengers in the same row. Car seats, especially when turned backwards, can be huge. The one thing everyone has not mentioned...do you really want that parent changing that "solid waste" diaper from that parent"s seat? This change not only effects your row but also ROWS forward and behind you!!! I raised 3 children AND did "diaper duty" as needed. 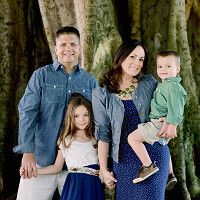 While it is possible to change a wet or lightly soiled diaper in the seat, it is not designed for this and most parents would likely use the airplane bathrooms. Airlines don’t require travelers flying with infants to purchase a separate ticket for their little ones. But, anyone who has ever flown with a baby on his or her lap knows it can be a trying experience for both parent and child. Meet FlyeBaby—a hammock type seat that provides a comfortable, convenient place to rest your baby during the cruise portion of a flight. This one-of-a-kind airplane carrier lets you play, interact, feed, and care for your infant in a face-to-face position while leaving your lap and your hands free.